You might have noticed I have been really bad at posting from the beginning of June. I had two of the busiest months of work ever, which included partly enjoying the fun and mayhem of fashion week in London, Milan and Paris and partly being locked up in an office trying to cope with endless piles of work. 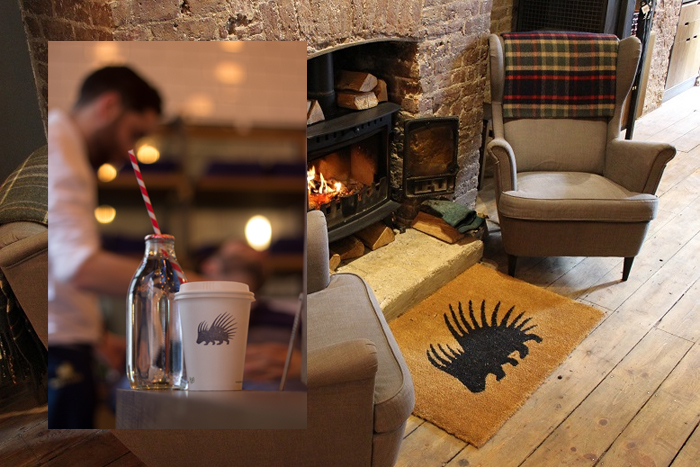 On the first day I allowed myself to take a breather, I could not think of anything more pleasant than to take Ruffians up on their invitation to try out their services at their new Covent Garden outpost. 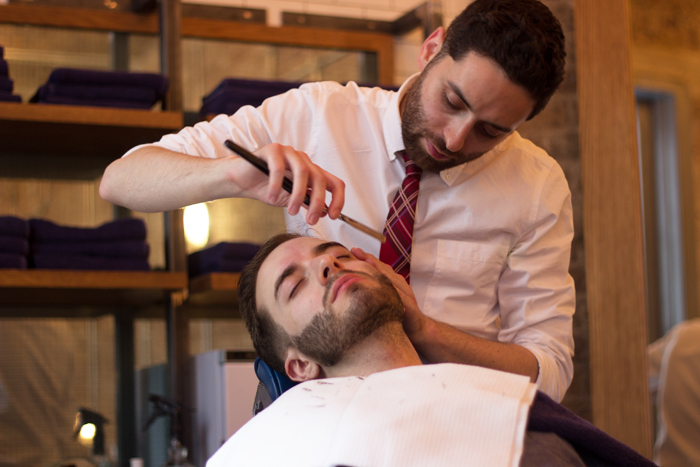 The new barber shop, which follows the success of its established brother in Edinburgh, is yet another clear sign of the well-deserved attention us guys are finally paying to grooming. 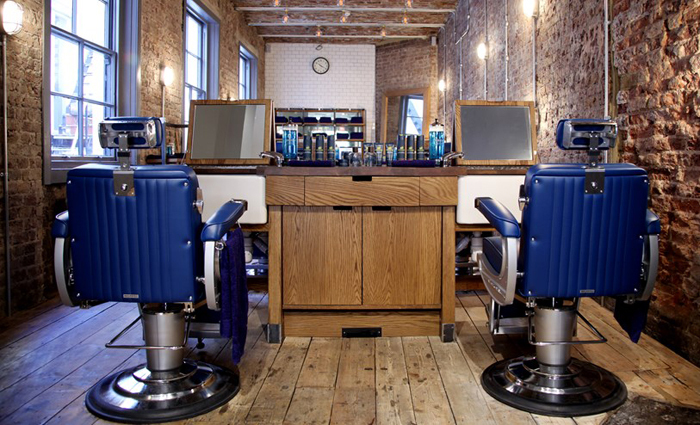 Far from the overdone, pretentious and somewhat self-important barber shops that first opened in London, Ruffians has a welcoming and relaxed vibe. Their staff are friendly and attentive and the decor nods to all the heyday elements of the golden age of barber shops we love without the overwhelming stale vintage feel others are so keen on. It is a cool and welcoming place. During my visit, I went for a beard trim and reshape, much needed after weeks of seclusion from the world. As a grooming freak aficionado, I am usually pretty good at judging people's skills right from the start. 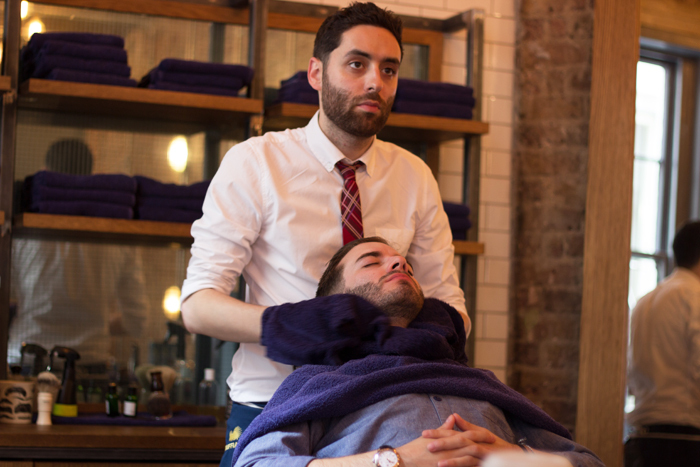 At Ruffians, it seemed quite evident that I was in extremely skilled hands. An idea confirmed by the few other gents who arrived after me and who were clearly regulars – the ultimate sign of a good barber shop. Needless to say, I was very happy with my new fresh face. 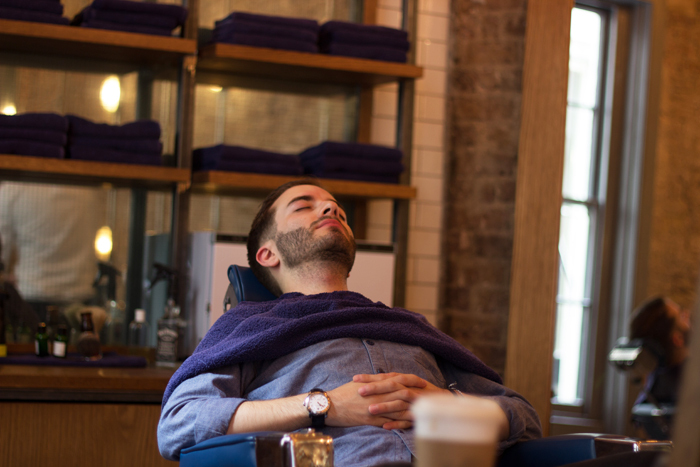 The whole experience is extremely relaxing – I will never again be able to visit a barber without getting an upper body massage – not to mention instructive, as your barber talks you through all the steps so you know exactly why they do what they do. 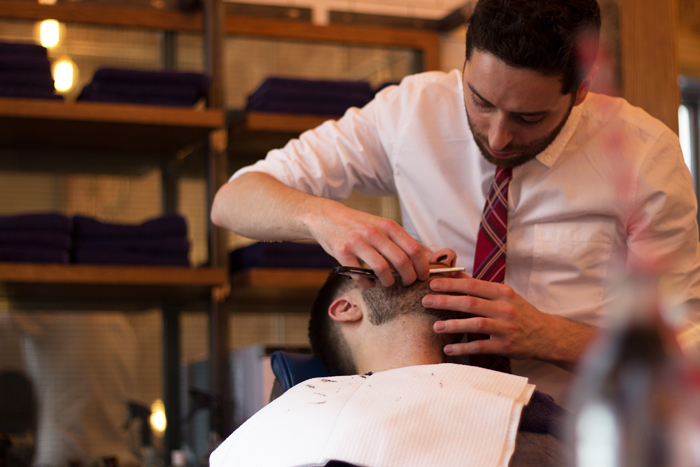 You can visit the Ruffians website for more information, including a list of services. Also there you can buy their full range of grooming products so you can carry on your hair and beard maintenance at home. PS. A big thank you to Adam for organising and for taking these great pictures!